Now that we've had a few days back in our rig and time to do a preliminary run through of where we stand with 2018 taxes, here are some updates and some shout outs to our partners to start the year. Back in November, there was on online event called Full-Time Freedom Week. There were over 40 videos about the full-time RVing lifestyle (we did one of the live videos). You could watch all the videos that week as they were shown or purchase an ALL ACCESS PASS and watch them at your leisure anytime. That opportunity ended at the end of the live event Thanksgiving week. However, now, for three days only - January 15 - 17 - they are offering the ALL ACCESS PASS again to get access to all those videos for the same price of $47. Now, though it wasn't planned for the vendor "coupon book" to be included with the ALL ACCESS PASS after the live event, that has been changed thanks to some vendors deciding to honor the discounts for a longer period. So, even now you will get the coupon book with the ALL ACCESS PASS, .... but note that the coupons will expire at the end of March. There are coupons in the book for 10% off the registration fee for our 2019 Spring Educational Rally, a $500 off coupon on the purchase of a new fifth wheel from our friends at RVs For Less, and a 10% off coupon on driving lessons from RV Driving School. Plus, there are a whole lot more discounts and specials included. If you have just started researching full-time RVing, this video collection is a bargain. After speaking at seven RV shows last winter, we've cut way back this year. But we are returning to one of our favorite shows - The Grand Rapids Camper, Travel, & RV Show in Michigan. The show runs Thursday, January 17 through Sunday, January 20. The show times and admission fees are shown here: Dates, Times, Admissions. We are doing a TV spot on Thursday morning before the show begins, and then we'll be presenting 10 seminars (2 Thursday, 2 Friday, 4 Saturday, & 2 Sunday). You can find the schedule here: Seminar Stage Headliners & Schedule. 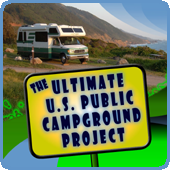 We're presenting "Full-Time RVing - Preparation & Overview" on each of the four days. Saturday is going to be very busy for us, but we'll have some time to squeeze in a couple visits before, after, or between seminars on the other days if anyone in the area is interested. Also, we have a late flight out on Monday the 21st, so we could be persuaded to join someone for a late breakfast or lunch before we go to the airport. Looks like frigid weather in Grand Rapids this weekend, so you might as well come out and see us and all the new RVs at the show. It seems I've been talking about Harvest Hosts a lot lately. Well, as we had told you, they raised their rates January 1 from $49 to $79 a year. However, we recently got word that our coupon code now gets you 15% off rather than the 10% it was before. I thought that the number of folks signing up after January 1 would drop off significantly, but surprisingly that hasn't been the case. So, if you are one of the few that still hasn't signed up, click on the banner image above and get your 15% off code at the top of the page. As of today, half of our 40 available openings have been claimed for the 2019 RV-Dreams Boondocking Rally in Quarzsite, AZ to be held March 24 - 31. It's only $95 per rig, and it's an opportunity to learn and practice parking without hook-ups in a group setting in the desert. We will be parked on free, 14-day BLM land and we'll have a few seminars mixed in with potlucks and happy hours and campfires. It's a rather informal, fun and informational gathering. Check out the link to learn more. Oh, and it's right after the Escapees Escapade in Tucson, so those attending that large event can make a quick drive and join us in Quartzsite. Sign-ups for our 2019 RV-Dreams Spring Educational Rally in Pahrump, NV have been rather slow, so there are lots of spots available. It is being held at the wonderful Nevada Treasure RV Resort from April 8 - 14, 2019. Click on this link to find out all the details: 2019 RV-Dreams Spring Educational Rally. Highlights include 17 - 18 live seminars on full-timing (and part-time full-timing), 4 catered meals, the very popular open rig walk-through, and lots of fun. Also, attendees will have the opportunity to have their RV weighed by RVWeigh (extra fee) and the opportunity to take driving lessons offered by RV Driving School (extra fee). We will also have a representative from RV Insurance Benefits who will be presenting a seminar on Health Insurance Options for RVers. The Rally registration price is $385 per couple ($195 single). Compare our 6-day event to the 3-day Escapees Boot Camp for $400 per couple and the 3-day FMCA RV Basics for $400 per couple. Plus, our Rally is being held at the lovely, full-service, full hook-up Nevada Treasure RV Resort with sites at the Rally rate of $35/night (normal prices range from $44 - $66/night). No fairgrounds for our Educational Rallies. Seminars, meals, and events are held in a beautiful conference center. Oh, and don't forget 20 - 30% of our attendees don't have RVs yet. We welcome those that are in the research phase and the pre-buying phase. Finally, as one last little bit of encouragement to sign up for our 2019 Spring Rally, this will likely be the last Educational Rally we hold west of the Mississippi. So, if you are a westerner considering full-timing, this may well be your last opportunity to attend one of our Rallies close to you. We have learned "never to say never", but we don't have room in our rig to carry Rally supplies any longer, and our plan is to set up our future Rallies in one location in Sevierville, Tennessee where they always sell out and where our group is well taken care of. Hope to see you in April in Pahrump! We have been fortunate enough to live in our RV for going on 14 years now. Over the years we have gained a wonderful following and connected with some fantastic people in RV-related businesses. These relationships have fueled our ability to earn a living on the road (and fueled our RV), and we have great respect and admiration for all those that believed in a younger-than-normal couple with no RVing experience and no steady income who started this adventure at age 41 having no idea what the future would hold. The faith and encouragement and love bestowed upon us is the stuff of fairy tales and we thank all of you readers, Rally attendees, and partners that have affected our lives and even, in many cases, become close friends. With that said, the rest of this entry is to recognize the business relationships that have helped us so much both financially and professionally. We can't thank everyone individually here, but we do want to discuss those that have helped us the most, especially in our early years. Without a doubt, Wholesale Warranties (WW) has been the biggest surprise of our RVing journey. Back in 2012, just after we lost the engine in our truck and were staring at an $18,000 bill and considering whether or not we even wanted to continue RVing, we met Jeff Shelton, the young, charismatic, energetic, owner of WW at a rally where we were weighing RVs in Wyoming. They were just getting started and we needed an income boost. Well, we worked out a deal and were the first what I guess would now be called "influencer" to work with them. We were terrified as the extended warranty business has a pretty bad reputation, and we were putting our own reputation at risk with a new company that sells a product you hope you never have to use. Most of our relationships are with companies that sell products or services that we have tested, used, and felt comfortable recommending. This was a whole new ballgame, but there was potential and if they did what Jeff said they would do, perhaps we could re-educate the RVing public about extended warranties and eliminate at least some of the widespread complaints. We visited their offices in San Diego and met their small staff, and we eventually wrote an article called "RV Extended Warranties - Pros, Cons, & Helpful Tips". Well, for several years now, that article has caused us to pop up on the first page of Google searches for "rv extended warranty", and we've been sending them leads and requests for quotes ever since. To this day, it irritates Jeff a little that we come up in the search listing a little higher than WW. For a long time, we made them send us copies of quotes for leads that came through our website to makes sure they were going out timely. But once we started referring 30, 40, 50, or 60 a month, we gave up on trying to track every single one, and it seemed we didn't have to by then. Has everything been 100% rosy? Of course not, it's the extended warranty business. But considering all the referrals we send, the percentage of complaints we've heard from those that purchased from WW has been very, very small. And if folks with issues would contact us or the staff at WW, often (but certainly not always) there is a good chance those issues might have been resolved or at least mitigated. WW grew fast, and we were a part of that growth. Now, there are lots of "influencers" in the RV world that are WW affiliates and referrals have been shrinking due to the wide exposure, but we're still leading the pack in the numbers of referrals each month. They have done everything for us Jeff said they would do, and when we send an email about a customer issue or a question, the response is almost immediate. And, while their sales staff are a bit more persistent than I care for sometimes (and I don't think their pricing is quite as "wholesale" as it used to be), we still believe their "after the sale" service is by far better than any other RV extended warranty company out there. And, heck, it never hurts to get a free, no obligation quote. So, with that, we'll just say "Thanks" to Jeff and his staff at Wholesale Warranties, especially Staci & Missi. You've taken good care of us, and though I still twitch a little with the mention of an extended warranty, our life on the road would have been quite different without our relationship. RVs For Less is a small, family-owned dealership just outside of Knoxville, TN. They sell only luxury fifth wheels, and our emphasis on full-timing fits right in their wheelhouse. When we first met several years ago, owners Butch & Karen Burson quickly realized that we could help each other, and more than any other dealership in the country we've spoken with, they recognized opportunity. So, these down-home southern folks with their Tennessee twangs began a campaign of trying to help us out in every way they possibly could. They bring RVs to show at our Tennessee Rallies. They even help us round up other dealers to bring motorhomes to the Rallies. They provide us with door prizes and for several years now one of those door prizes has been to pay the entire Rally registration fee for one lucky attendee. They have hooked us up with companies that have provided us with free accessories in exchange for writing about them, good or bad. Also, they hand out our business cards and send people to our RV show seminars and Rallies, and they advertise on our Journal and Forum. They sell only new DRV and Heartland Landmark fifth wheels, and nice, used units that are traded in. They have been the top DRV dealer for seven years, and they have been the top Heartland Landmark dealer in the past and are top five consistently. Basically, Butch just takes less profit when they make a sale and they try to make you feel like family. Fair warning, however, he'll talk your ear off .... but we still love him. Thanks to Butch & Karen and Ken, Mark, and the rest for being such great partners and good friends. I've said many times that finding Workamper News gave me the confidence that we could go on the road at age 41 with no job and no fixed income. Finding that there were employers seeking RVers for jobs and that we could get paid in addition to getting a free campsite let me know that in the worst case, we could work on the road, keep our expenses down, and earn enough money to keep going even if we might have to sit a little longer than we hoped. We could budget and live frugally, and our new, minimized, simple lifestyle would still work. I preached the gospel of Workamper News for the first several years, and then they eventually came up with their "Concierge Program". As a Concierge, we could get paid for telling people about Workamper News, something we had been doing all along. Anyone signing up using our "Concierge Code" (aka Promo Code) payn3619 would get a couple months free, and we would get a big commission. With our website (link to our Workamping pages) and our speaking gigs at RV shows, we recommended which Workamper News subscriptions were the most worthwhile, and soon we started getting big checks each month. The Concierge Program didn't last long and they stopped signing up new concierges, but to this day we're still a Concierge and our referrals still get two months free and we still get checks. Of course, in September 2016, they changed their subscriptions and with the new "Intro" free subscription, there wasn't as much incentive for folks to get a paid subscription, so our check sizes have gone way down since then. But we still feel the Gold "green" paid subscription ($39.95/year) is a good deal for full-timers and a few people each month still sign up for it. After all these years, with all our contacts and experience, we're still Workamper News subscribers ourselves. Steve Anderson, the owner, and I don't always see eye to eye, but I'm a big fan of the Workamper.com website and what they do for RVers. And to their credit, they keep allowing us to be Concierges even though that particular program ended a long time ago. So, although, our relationship isn't as financially rewarding as it once was, we still believe in the concept and the tools they provide to those RVers that have to work, those that have to keep expenses down, and those that just want to keep busy or stay in a particular area for awhile. Thanks to Steve and his staff for continuing to seek out employers and opportunities for RVers. Passport America is the 50% discount camping club. For $44 a year, you can get half-priced camping nights at nearly 1,800 RV parks and campgrounds. There are limits on when the discounts can be used, so you need to read the fine print or "notes" for each campground, but we've been saying for years that Passport America is a no-brainer for full-timers. If you get a 50% discount for three nights at a $30/night campground, you've paid for the membership. The campgrounds are sometimes surprisingly nice, but they might also be pretty bad. Still, it's mostly about saving money. Passport America also has a little referral program where we get $10 for each referred member. In addition to online referrals, they print up paper brochures with our pre-printed member number - C-342286 - on them to hand out at RV shows where we speak. They quickly saw how many referrals we had, and they gave us a lifetime membership several years ago. In addition, they have periodic "Refer a Buddy/Friend" promotions where new members can get a few to several free months when signing up, and we've earned some pretty significant cash through those. So, again, Passport America is an RV-related business that we use ourselves and recommend, and they have treated us well for many years. American Adventure Insurance is an RV insurance specialist out of California. They are an agency that can quote multiple insurance companies. When we were doing seminars at an RV show in the winter of 2014, they approached us about being a referral partner. At the time we were using Miller RV Insurance out of Oregon for our personal insurance and we had a good relationship with them, although there was no financial relationship. So it was a little awkward to consider referring business to a different agency that we hadn't used. We determined that we would enter into an exclusive referral fee arrangement with American Adventure but continue to recommend Miller RV Insurance without any financial expectations. They both appear on our main RV insurance page. You should know that insurance companies cannot pay commissions to non-licensed people based on sales. When we enter into referral relationships, much depends on the partner and the business as to what arrangements we make. Sometimes we get paid a low dollar amount for leads, sometimes we get paid a commission on sales, sometimes we get paid for promotion or advertising, sometimes we barter products and services for promotion and advertising. We always try to get something for our readers in the form of a discount or something else of value to create a win-win-win situation, but it doesn't always work out. As stated before, if the product is a regulated insurance product, it is illegal to pay commissions on sales to non-licensed individuals (there may be some exceptions, but that's the general rule). Have we considered getting insurance licenses? Sure, but we let that thought pass pretty quickly. So, for any insurance partner, we negotiate a fee-per-lead to stay within the law. Believe me, we have been offered illegal commissions, and we've flat refused to work with those companies. In the insurance arena, the feed-per-lead scenario requires that we are paid the same amount on every lead we send. They can't scrutinize leads to determine the quality of the lead and base the referral fee on that or on the amount of the sale, if any. They can't refuse to pay us on leads that don't turn into sales. They have to pay us on every single lead we send, which is why the fee-per-lead amount is much lower than a commission on a sale. So, like our arrangement with Wholesale Warranties, we created a quote request form on RV-Dreams, and we drafted a few pages explaining RV insurance. American Adventure was quite helpful in filling in the gaps of my knowledge regarding insurance and especially RV insurance. Those pages don't rank as high in the search engines as some of other pages unless you specifically search on "rv insurance understanding coverages", "rv insurance factors that affect rates", "rv insurance claims" in which case we do show up on the first page. This relationship has only been in effect since May of 2014, and we're not quite as tight with them as we are with our other partners, but they are extremely responsive. If a customer didn't get a quote timely, a quick email generates a phone call or email to the customer. And, they pay us for our leads on time, every time with reports to back it up. The number of leads have been declining a little bit in the last few months, but we've still averaged 25 quote requests a month for four and half years, and we appreciate that somewhat significant income stream. Thanks to Paul Bender and his staff for helping to educate us and for providing quotes to our readers. Now, this a relationship that we recently began, so it may seem a little out of place among our longer-term business partnerships above. 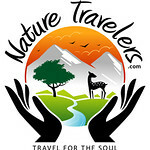 However, owner Coleen Elkins has been communicating with us for many years and she credits us with inspiring her to become a full-time RVer with her husband. She has done seminars for us in the past and she will have someone at our upcoming Spring Rally. Last year, Coleen hooked up with the FMCA RV Club to be their exclusive agency for the FMCA Health Plan and Medicare Supplements. Click on the link to learn more about the FMCA Health Plan which is one of the best alternatives to an Affordable Care Act plan that I've seen for RVers. Because of this fairly recent entrant in the health insurance arena, we agreed to enter into a fee-per-lead arrangement (it's insurance), and we suspect that, over time, as things continue to change with health insurance combined with the needs of RVers to have national coverage, their plan will become more and more popular. In just the month or so that we've had the webpage up, there have been quite a few inquiries. Now, even if the FMCA Health Plan is not right for you, RV Insurance Benefits is a full service agency and can assist with a health insurance evaluation to see what may work best for you. If you would just like to have a consultation, there is a form about in the middle of our FMCA Health Plan webpage, to request a health insurance consultation. They are RVers working for RVers and they understand our needs better than most. For what it's worth, Coleen recently hired a couple of our prior Rally attendees and she is looking for other RVers to join her, so we can put you in touch if you think you might want to work hard, help other RVers, and make some pretty good money. Thanks Coleen for going out on a limb to seek out and put together this nice alternative health plan for RVers, and we look forward to hearing Luke speak at our upcoming Rally in April. We want to mention several of our other business partners, but we just can't go into quite as much detail as for those above. RV Solar Solutions - Greg & Cori Young were part of our RV-Dreams Class of 2014, a tight-knit group that attended rallies that year and began their full-timing adventure. Greg runs RV Solar Solutions which, as the name suggests, does solar installations on RVs. RV Driving School - Owned by George & Valerie Mayleben, RV Driving School has been working with us over the past few years to provide hands-on driving lessons at our Educational Rallies. George's nephews Jim and John, are slowly getting involved in the business, and we can tell you from our many years of correspondence and meet-ups, this is a great family. RV Mobile Internet Resource Center - Chris & Cherie have been valuable members of the RV-Dreams Forum, and they are the go-to people for everything related to mobile internet. I don't even try to keep up with it anymore. We're just members of their premium group Mobile Internet Aficionados, and we just wait for them to update us on the latest trends, technologies, equipment, and plans. The amount of work they put in to keep us all informed is unbelievable. Escapees RV Club - The Escapees RV Club was the first club we joined and their forum was invaluable to us as newbies so many years ago. We are part of their referral program, and they send us a small check each month (but every little bit helps whether it's a night of camping or being able to throw a couple pork chops on the grill). Coach-Net - We've had Coach-Net Roadside Assistance since we started full-timing and we've found their service to be top-notch. Though a bit pricier than some of the other roadside assistance options out there, at least you don't have to join a club to get their coverage. We used to refer a lot more business their way before a large price increase a few years ago, but we still have our own landing page with them. FMCA - We've only been members for about a year, but the membership is worthwhile and we are now an affiliate partner. The link goes to our landing page where you can get a $10 discount. Truma - We were one of the first RVers to test their AquaGo instant hot water heater in the U.S. When we bought our current Class C, we immediately exchanged some advertising for a new AquaGo installation. They have an Owners Rewards program that we participate in that gives our referrals a $50 gift card after the purchase of an AquaGo, but folks just don't seem to remember to use our coupons. MORryde - MORryde has been a supporter of ours for years, and we still believe they have the best trailer suspension out there in their IS Independent Suspension. Now that we have the motorhome, we won't see them for our periodic check-ups, but we still highly recommend them. Utility Bodywerks - A few years back, we traded some advertising and promotion for a discount on one of their all-aluminum hauler beds for our truck. If you Google them, the video we did about our hauler bed is one of the first things you will find. Also, they offer our readers a discount. RVRoof.com - This is our recommended spray-on, seamless roof company. Their specially formulated Flex Armor coating is durable and flexible, and it's what we'll put on our motorhome roof as soon as we see any signs of potential leaks (if not before). Lambright Comfort Chairs - Lambright is an Amish furniture manufacturer near Shipshewana, Indiana that specializes in RV sofas, chairs, and recliners. Vernon Lambright is a dear man, and we enjoy our visits there. In fact, in 2018 we drove across the country just to have them remove the dinette in our Class C motorhome and replace it with theater seating. They don't have a website, so the link goes to an article I wrote back in 2015, and it includes a coupon for 5% off on any order. Jack Mayer - And finally, though we don't have a financial business relationship, we want to take some time to recognize the guy that took us under his wing and became our technical mentor and adviser when we started way back in 2005 as complete newbies - Jack Mayer. We haven't seen Jack & Danielle much in the last several years and we haven't communicated nearly as much as we did in the early years, but we will always be grateful for their guidance, and we can only hope our efforts to pay it forward have been as valuable for some of the folks we've come in contact with over the years. "specializes in Heavy Duty Trucks converted to tow fifth wheel RV’s, horse trailers, race trailers, and boats. We sell new and used Volvo trucks converted to motorhomes. We pair these trucks with high-quality heavy-duty hauler bodies, provide mechanical/conversion services, accessorization, and educational/training materials for the recreational heavy duty towing market. We can work with your truck or a truck we provide. We are a licensed new/used vehicle dealer and a licensed vehicle converter." If you are considering towing a fifth wheel with a Heavy Duty Truck (HDT), talk to Jack first. Well, that wraps up this very long entry. We just wanted to provide a few updates, and periodically we like to make sure we are recognizing our business partners. In this post, we went a little deeper into some of the relationships to provide some insight as to why and how some of them came to be. Mostly, it has been nice people coming together for a mutual benefit and opening the door when opportunity knocks. With that said, not every opportunity has turned into a successful venture or relationship, but we just keep plugging away with our philosophy of "multiple streams of income" knowing that streams surge and dry up and we always have to be prepared to look at new opportunities while at the same time maintaining the balance in our lives and always remembering why we became full-time RVers in the first place. Of course, none of this would have been possible without our wonderful readers, followers, and people that believed in us enough to trust our recommendations and partnerships. So thank you!! Thanks for ALL you do for ALL of us!!! Thank you so much for your "testimonial" regarding Wholesale Warranties. The positive experiences in the extended warranty world are rarely shared, and we and WW appreciate it very much.